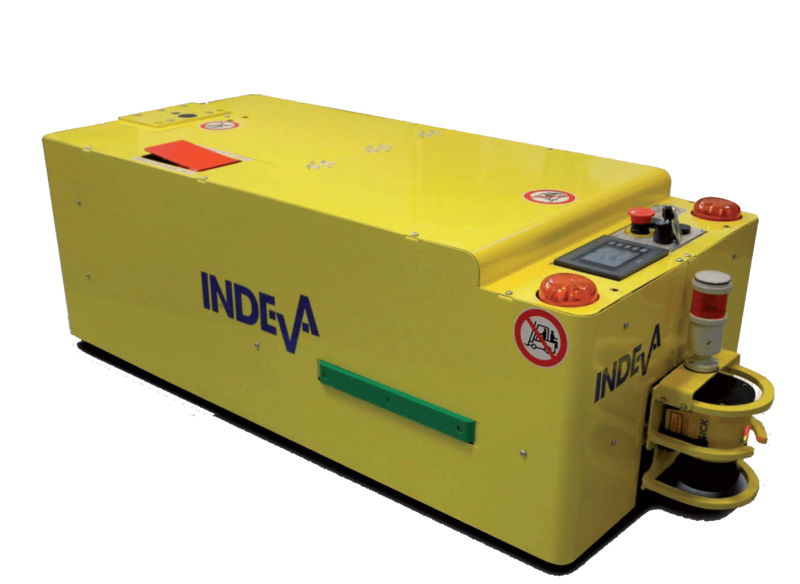 INDEVA® TUNNEL AGV is used to move trolleys through the workshop and warehouse. This AGV positions itself beneath а trolley or cart that, using а fully automated pin-hook system, is then guided to the destination. The AGVs follow a magnetic tape which is quickly and easily laid along the required route. Each standard AGV can be configured for different functions and can be upgraded from a range of optional accessories. 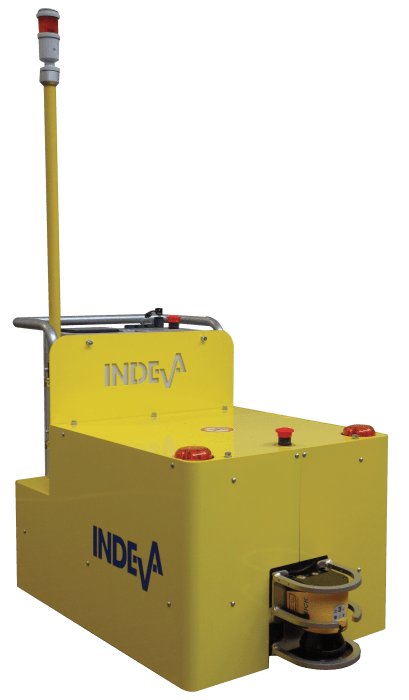 An AGV INDEVA® is programmed for automatic start by means of either a preset timing or reception of a signal from customer’s line. Comes complete with standard interfaces. Customer can use these to perform special functions or to control external devices.